Sup guys! Yall projects are looking really great. Boggles my mind how some have already submitted games, like damn. 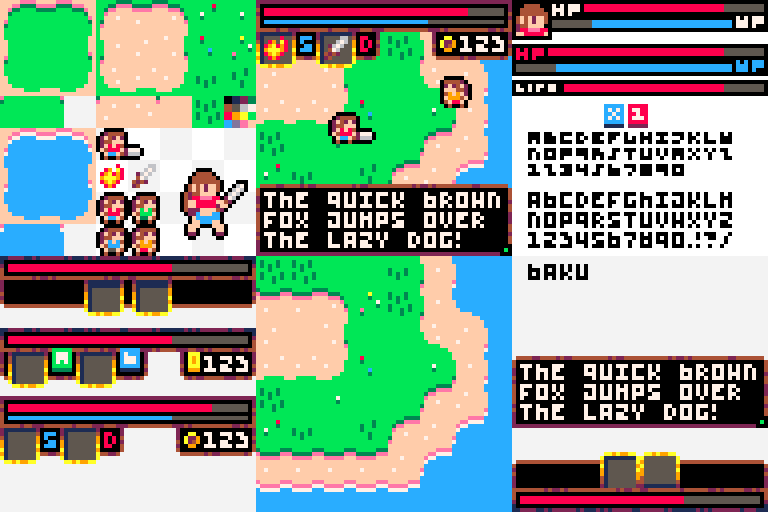 I started doing some mockups today, using the Pico-8 palette. Such a cute palette! I guess I'm gonna make some kinda zelda-like thing maybe? Man, these sprites are seriously cool! You can never have enough zelda-a-likes! Looking forward to playing it!